Going into March we weren't really sure what this Gallery Stroll had to offer, which left this month's coverage on the blog a little hazy. Most of the “program” was made up of collaborative showcases without a single focus, and the few that were two-three artist shows we've already chatted with. So rather than be dull and cover what we've already covered, or wade through the mess of picking a few to talk to out of dozens, this month we're hitting up a place we haven't been to yet for a single artist's show. --- Utah Artist Hands is one of the few galleries in town exclusively featuring artists from Utah, whether it be paintings, pottery metal works, wood, photography, jewelery and more, the shop has hundreds of items of craft and fine art to choose from, including prints for those of you on a budget. The place stretches into the adjoining coffee shop and Caffe Molise displaying art for many to see while they eat, giving artists an extra nudge of exposure. This month we're checking out the work of painter and illustrator Ron Russon, who was kind enough to do an interview about his career and artwork, plus many pictures of his work hanging up this month for you to check out over here. Gavin: Hey Ron, first thing, tell us a bit about yourself. Ron: I was born and raised in Utah. Spent most of my life here working mainly in the rural area outside of Lehi. Spent my formative years working on a dairy farm and always had a penchant for drawing. I really enjoy Utah and the landscape and wildlife it has. I have a BFA in Illustration Design from BYU. I guess basically I am a farmer at heart who paints. Ron: I come form a long line of ancestry that has been artistic. Both of my parents have artists on either side. I think perhaps I was born with an interest in art. I seemed to like to look at the pictures more than reading as I grew up. I liked to look at children's books with all the different styles of art in the illustrations. I also loved to see color and stylization in cartoons growing up. I was drawn to Tex Avery and how he just seemed to bend the rules with his cartoons. All the loony tunes cartoons seemed to just let their imaginations go free. I loved that stuff. Gavin: Originally you went to UVCC, but got accepted into BYU for Illustration Design. What was it like for you changing courses like that, and what their program like for you while you went there? Ron: When I was going to UVCC I didn't really have a major emphasis. I was just kind of trying out a lot of classes to figure out what I wanted to be when I grew up. I was looking for an associates degree and then I would move on to a University to get the rest of my education. UVCC didn't have many if any baccalaureate degrees at the time. I offhandedly took a drawing class from Bob Dewitt. It seemed to make sense to me and I really enjoyed it. I took another couple of classes from Dewitt and a landscape painting Class from Joe Wixom. It was all fun for me and I learned a lot. I got my associates and decided to try for the BYU Illustration Design School after talking with a couple of friends who were going there. BYU was a dramatic change from UVCC. All of a sudden it was a major competition to see if you could make it another year in the program. If you didn't muster up you were kicked out. It really forced a lot of hard work. I had some good instructors there, but it was just a ton of work just to try to keep up with everything. It was great training for the real world of art which takes just a ton of work to survive. The instructors that influenced me there were Richard Hull, Robert T. Barrett, Douglas Fryer, Robert Neubecker, and Joe Ostraff. I also had a senior mentor, John Berry, who is still a good friend and great Utah painter. Gavin: I read you also served an internship at Illustration House in NYC. What was that experience like for you as an artist? Ron: I did enjoy myself in New York. Illustration house had some amazing artwork there. Before television and YouTube, magazines and books were the "it" thing. Illustrators of that time were like rock stars or movie stars. I learned about these great illustrators at BYU. I was actually able to help preserve, catalog, and restore some of these early works. I saw works by some of my heroes like Harvey Dunn, J.C. Leyendecker, Maxfield Parrish, N.C. Wyeth, Norman Rockwell, and Dean Cornwell. To actually see these paintings up close and see how they put the paint on the surface was an incredible learning opportunity for guy who didn't know how to paint. I was also able to travel around and visit with a bunch of working illustrators and painters in New York to see how in the world you make this stuff. New York also has some great museums to get educated from. I remember seeing a Jackson Pollock painting for the first time in real life. I thought he was just a drunk guy who spilled paint, but after spending some time with his work you get to feel something a lot deeper than just a trivial paint spill. You got to feel some of what he was about and what his art was. I came from a rather practical mindset of wanting to be the next Norman Rockwell, to being awakened to the endless possibilities of images I could make. My New York trip was an education in art as well as an education in the possibility of what I could do with my art. 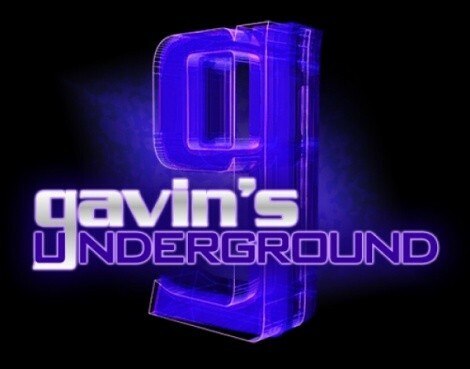 Gavin: Considering the options you had afterward, what made you decide to return to Utah as a freelance artist? Ron: I went to New York in my Junior year at BYU. I had to come back to finish up and get my degree. I stayed here because Utah is part of me. I have family and memory and roots here. I loved New York, but I am of the West and seem to feel part of it here. I somehow need the mountains, farms, and space here in Utah. I guess it is just simply home to me. Gavin: How was it for you working as a freelance artist and essentially creating works catered to people? Ron: I was a freelance illustrator for a while. It was a good gig and let me come up with some creative solutions for magazine articles, or advertisements,or whatever. It wasn't as fulfilling as I had imagined it to be. I just started to paint my own thing one day and it felt freeing and liberating. Kind of like those Tex Avery cartoons. The limits were my limits. I could paint a blue bear, or an orange bison, or whatever I wanted. That seemed to be the answer for me. I welcome commissions, but the majority of my work is self driven and things I want to explore and create. Gavin: What made you decide to start doing oil paintings as your other medium, and why specifically animals? Ron: I like oil paint due to the history, colorfastness, and texture. Oil paint has been around a long time and been used by the best. I think we can learn from those who have come before and maybe my using oil paint can be a bit of continuing tradition. Oil paint, for me, also has the best color and colorfastness. I use acrylic from time to time and just can't get the same color and brilliance I can with oil. I also really like the textures you can create with oil paint. I almost feel like a sculptor sometimes with the body you can get with a big glob of paint on a surface. As far as animals as subject matter goes. In college I did a radio show with a friend of mine, Brian Brinkerhoff. It was about outdoor stuff, called “Backcountry Utah”. He is still doing the show now. We were exposed to all kinds of wildlife doing segments for the show. We went on the Buffalo round up on Antelope Island several times; spent hours on the Provo river fishing; and seeing elk, deer, and moose on hikes. Just experiencing these things in person was a bit of an awakening. I find wildlife captivating and interesting. They have to be creatures of honesty. If they are not true to who they are they don't survive. That may sound weird, but a mouse has to be a mouse and do mouse things to live. A cougar has to eat things like mice and rabbits to survive. It is a raw honest living thing that is amazing. With my human brain I interpret their lives and shapes and colors to my own end. I try to learn from them and create an emotive response to them in my art. Their shapes and colors and the like have meaning to me and I am trying to express that in my art work. I really think the natural world has a lot to teach and my artwork is a way for me to try to learn some of what it has to teach me. Gavin: What's the process like for you when creating a new painting, from initial concept to final product? Ron: My process is general at best when beginning. I generally come up with something I am interested in like a bear. I will then look through a lot of reference photos and drawings I have. I will focus on a particular image and begin. I might loosely sketch and throw a bit of paint here and there and let the paint drip and spread and bunch up. I then try to use the patterns and shapes to inspire or let me know what color or value to use where. It is a bit of give and take and a dance in a way. I have no preconceived notion of what the final product will be. The painting will let me know what to do while I am painting it. It is a bit of give and take. It sounds rather strange, but the more I get out of my own way the better the painting gets. Kind of a let go and let paint idea. Gavin: Do you usually have an idea of how things will look or do you end up playing with the design along the way? Ron: I don't try to control much about the design of a piece. I do my best when I let go and let it happen. A painting often will go a different direction than I would have supposed. Gavin: Tell us about the new works you have on display for this Stroll. Ron: I was just goofing around a bit with some figurative work. I often will experiment trying new ideas or possibilities. These new works are a bit of that experimentation. Hopefully they will be interesting to see and experience. The work is a little odd, but compelling. Gavin: How is it for you being displayed at Utah Artist Hands as the main artist for this month? Ron: Pam O'Mara is the owner of Utah Artists hands. She is always great to work with. I love doing shows with her and her gallery. She created a great space to experience the work. I feel honored to be having a show there. It will be a great time. Pam has great taste and has a really fun interesting gallery. Ron: I think the local art scene in Utah is rich. I think that a lot is being done to make people more aware. Articles such as this and the 15 Bytes web magazine by Shawn Rossiter help out a lot. I think once downtown gets a bit of the construction mess done it will be a bit better. I think people inherently need art in their lives and if it is easier to see they will go out and see it. Ron: I would like to see some creative solutions to that question. I know the 377 Project was interesting. A friend of mine, Shawn Porter, was involved with that. They have the art truck going I believe. I know CUAC has an art party type bus going down to Ephraim to see the museum there. I think more of these things help. I would really like to see some larger entities help with the local art thing. Perhaps some firms with capitol to support some interesting projects instead of always being the grass roots effort. Grass roots is great, but with some capitol we could be doing some really interesting things on the scale of the Spiral Jetty, or a Cristo project. I know it is difficult for many artists to get out and do things like that due to the fact we are working so hard just to make a living. I also know there a a ton of artists and artistic energy outside of the Salt Lake area. Helper and Spring City are kind of art oasis's. I think perhaps some involvement with rural Utah could bring some interesting results. Ron: My take on Gallery Stroll is from an artists perspective. I am looking for exposure to my artwork and am rather biased towards that end. I think it is a fun night for all to experience. I know there is a lot of interesting stuff to see and experience. I think it is a bit low on turn out due to construction or weather or parking. I think as the downtown gets more finished and the weather gets nicer the stroll will be a bit better attended. Ron: I am always busy. I am getting this show for Pam at Utah Artists Hands finished and hung. Next I need to paint for a show coming up at Gallery Mar in Park City. I have a show there this summer and need to get some good pieces ready for that. I always keep fresh new paintings in Utah Artists Hands and Gallery Mar so please come by and see as the year goes along. I have recently started a blog and will try to keep what I am doing posted on there. I am not a computer guru, but a blog seems simple enough. Ron: Just come out to the show at Utah Artists Hands. It will be up for two months. Also I have paintings at Gallery MAR in Park City with a show coming up there this summer.